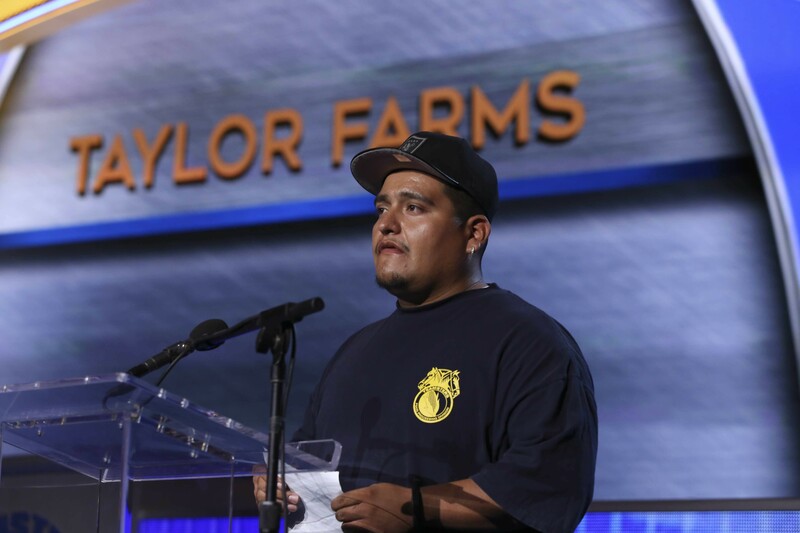 Former Taylor Farms worker Jose Vega. Oakland and San Francisco residents may take comfort in $15 minimum wages, first-name-basis familiarity with local farmers, and purchasing policies that enable public schools to use their spending power to buy ethically produced food. But a new report co-authored by the Food Chain Workers Alliance and Solidarity Research Cooperative indicates that there’s still much work to be done, particularly in the realm of fair labor practices. The report, entitled No Piece of the Pie: US Food Workers in 2016, was based on national data from the US Bureau of Labor Statistics and the US Census Bureau, as well as current discussions in academic and policy literature. It found that the food industry — the largest employment sector in the nation — also contains the greatest portion of its poor. These findings come on the heels of another recent study that found that Bay Area restaurants have the largest race-based pay gap in the country. No Piece of the Pie notes that the food industry has grown steadily in this country even through the Great Recession. But despite this robust growth, the median wage rose only $0.20 in the past four years. Thirteen percent of all food workers, from farm laborers to farmers’ marketeers to coffee baristas, are on food stamps — more than twice the rate of any other industry. Meanwhile, the food industry’s CEOs make about six times as much as its frontline workers — and in some cases much more. For instance, Starbucks CEO Howard Shultz made $336 million between 2009 and 2013. “Even though in the Bay Area and in Los Angeles we have good progressive policies, we have to remember we’re part of a larger regional and state economy, and it’s important for us to support workers in other areas,” said Lo. After all, Taylor Farms is located just an hour away from the Bay Area. What’s most concerning is that conditions for food workers, who are already heavily affected by the American legacy of racism and misogyny, will further decline.